A YA love triangle with dragons. That’s all that needs to be said. Ember and joined Cobalt and is still struggling with the exit of Garret. She is torn between two boys, a dragon or a soldier. Both seem to be pulling her in their directions. But she’s not sure what to do. Even though Garret left, he can’t seem to forget Ember. When he discovers something extremely disturbing about The Order, he must go back to the states and see if he can help make things right. 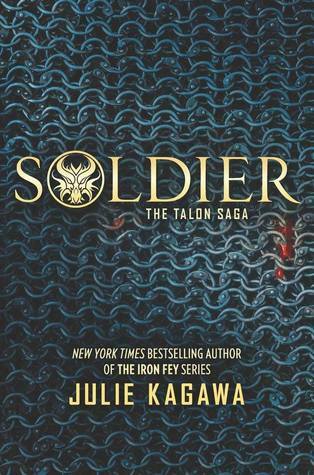 Another exciting installment in the Talon series that left me breathless. I’m about to dive into the next book. I’m so glad I waited till they were all complete. This really is a fun YA series. It’s been added to my list of recs. On a side note, my non reader son read these books and thoroughly enjoyed them. He is currently rushing me to finish so he can talk about them. That’s saying something. It’s nice to find books like this. I’ve read the first one – it looks as though I need to get hold of the others – thank you for this review!